The Faculty of Law was established in 1971 as a department of Law Faculty of University of Sarajevo. On September 1st 1976 it became an independent institution for education and scientific research. 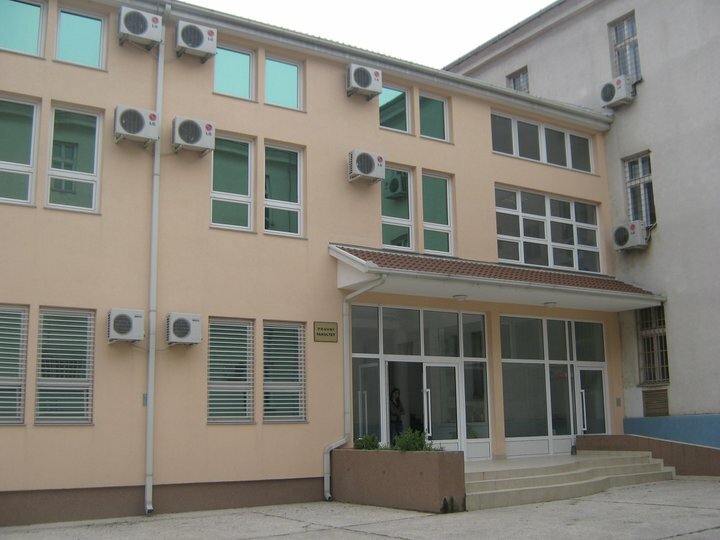 Together with three more institutions Faculty of Law formed the “Džemal Bijedić“ University of Mostar in 1977. The Faculty started enrolling students in second cycle (Bologna model) from academic year 2011/2012 (The course on Private Law of the European union), accepting the 4+1+3 model. The Faculty has so far organized two postgraduate study programs : „Business Law of the EU“ (2009/2010), and the postgraduate course: „European integration and transition of the legal system of Bosnia and Herzegovina“. The preparations for the start with the third cycle (European Private Law)are ongoing. The Faculty has taken part in several projects; “Access to Justice in Herzegovina – Neretva Canton – free legal aid”, „The analysis of the students' passive role and measures for the quality improvement of the teaching process in accordance with the Bologna process“, „Intellectual Property Rights (IPR) Protection in Bosnia and Herzegovina – Publishing of Manual for Citing of Scientific and Professional Papers“, “Decriminalization of Defamation in Bosnia and Herzegovina – 10 years of Case Law”, „Alimentation of children in domestic legal practice and the practice of European court of human rights“, Tempus Project: Equal Opportunities for Students With Special Needs in Higher Education, Tempus project: EU standards for accreditation of study programs on BH Universities and many others. As of 2012 the Faculty has been organizing an International scientific conference „Days of Family Law“, and together with the faculty of Economics of „Džemal Bijedić“ University has in 2013 organized International scientific conference „"Legal and economic aspects of the integration process of Bosnia and Herzegovina to the European Union“. The Faculty has also co-organized several scientific conferences in the field of law. In cooperation with Buskerud and Vestfold University College from Norway, the Faculty has in 2014 organized a two-month international summer school „International Human Rights and Social Entrepreneurship“.